The change in the Iraqi government has always led to strong disagreements and sometimes to violence. When the young Iraqi king Faisal II was overthrown in 1958, he was executed by firing squad in the courtyard of his palace in Baghdad, and then his body was displayed hanging. Few of those who succeeded him ended even better, until the overthrow of Saddam Hussein in 2003, the transition in the ensuing years that generated hatred and discontent within Iraq, as well as strong political pressure from outside powers. In contrast to these blood-stained traditions, the election of the veteran Kurdish politician Barham Saleh as president by the Iraqi parliament, as well as the election of Adel Abdul Mahdi, an independent Shiite politician, as a prime minister, is a peaceful and moderate choice. The ceremony was held at the Presidential Palace in Baghdad’s Green Zone, where Salih received the honor guard and received outgoing President Fuad Masum. These appointments have been pending since the end of the last elections, which took place on May 12, but when the appointments were welcomed, they were at least accepted by the main parties in Iraq. Abdul Mahdi has 30 days to form his government and is likely to succeed. The political climate is now different from what it was during the last change of prime minister in 2014, when he took over the post Haider Abadi, after the defeat of the Iraqi army to the organization «Daash», where the fighters became the organization on the gates of Baghdad. The Da’ash organization continues to carry out acts of murder and sporadic bombing, but not at the pace it once had, and violence has been at its lowest in Iraq since 2003. This shift in Iraqi life is so radical that the country no longer lives Wars and crises, and revolutions and sanctions, as is the case for almost 40 years, after the accession of Saddam Hussein power. The pessimists see that the absence of a current political conflict is due to the fact that Saleh and Abdul Mahdi are respected men from the Kurdish and Shiite political elites who have taken power since the fall of Saddam Hussein 15 years ago and have misjudged Iraq. The two men have held high-ranking government posts, leading to the belief that the politicians who have chosen the men will receive their natural share of ministries, positions and contracts. “Has one of the bad conditions in Iraq been reformed, such as corruption, so far?” Asked one Iraqi political commentator with extensive experience in Iraqi politics. The pressure, now practiced to reform the corrupt state, seems to have peaked as a result of the living conditions in Iraq. 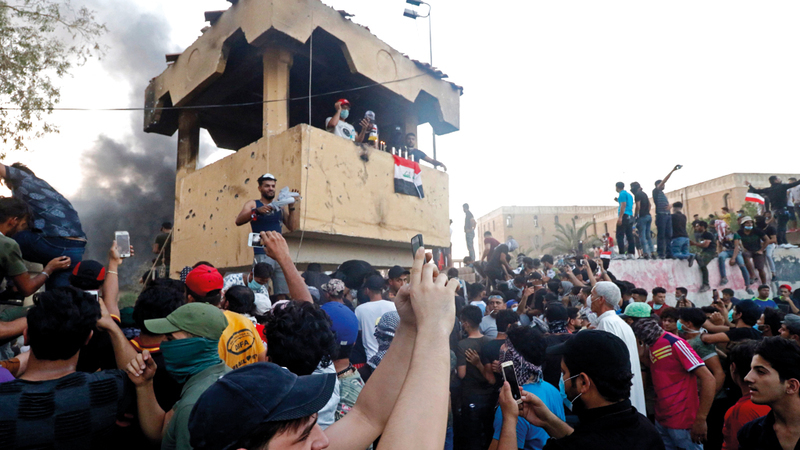 When the angry demonstrations broke out last summer in the city of Basra, they protested the lack of electricity, water, food and livelihoods, and added that drinking water when safe was poisoned, leaving thousands hospitalized. 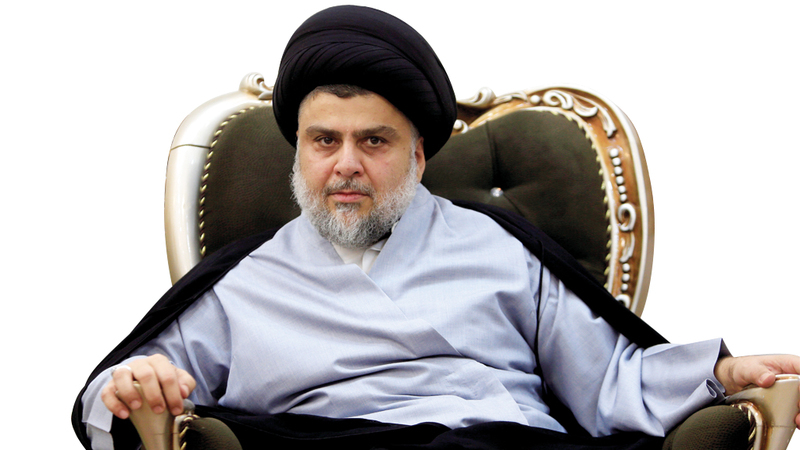 The election success of the Shiite leader Moqtada al-Sadr, where his coalition, known as the “Saroon”, achieved a majority in the general elections last May, confirms that priority for the Iraqis has become social and economic issues, not sectarian solidarity. Sadr seems to be well aware of the skepticism of most Iraqis, who believe his movement’s enthusiasm will evaporate and evaporate when they become leaders in ministries. The implementation of such reforms will not be easy, because in reality it is not only the elite that loot Iraqi oil revenues. There are 4.5 million government employees who receive monthly salaries of up to $ 4 billion. They maintain their jobs through their loyalty For a particular political party or sect. The choice of the president and the prime minister indicates that there is some change in the authority in Baghdad and the Kurdish region. Abdul Mahdi is not from the Shiite Dawa party, which was presented by former heads of government, but from the Supreme Islamic Council of Iraq, a religious party with close ties to Iran. Salih is from the deeply divided PUK, which governs the eastern region of Kurdistan. Both appointments represent a change in the relationship with Iran and a departure from the United States. Which is important because the United States was hoping to remain Abadi in power, where it cooperated with him successfully against the organization «Dahesh». Abadi was about to say he supported the United States in its sanctions against Iran. Although Abbadi was the prime minister when he liberated Mosul from “da’ash” and restored the oil-rich city of Kirkuk, it did not give him much confidence in the Iraqi electorate. Reducing the violence allowed Iraqis to focus on the massive thefts of state resources under the Dawa Party, which failed to improve or even maintain state infrastructure. Saleh’s choice is a sign that the influence of Massoud Barzani, the most powerful Kurdish leader, has been greatly diminished by the referendum on his independence last year, which has helped speed up the advance of Iraqi security forces toward Kirkuk and other disputed areas with the Kurds. Part of Saleh’s party cooperated with government forces. All successive Iraqi governments have been weak and fragile as a result of ethnic and religious differences, but the new government is a sign that Iraq is stable after four decades of violence and division. – The pressure now being exerted to reform the corrupt state has peaked as a result of the living conditions in Iraq. – Violence has become the lowest in Iraq since 2003. This transformation in Iraqi life is so radical that the country no longer lives in the state of wars, crises, revolutions and sanctions.